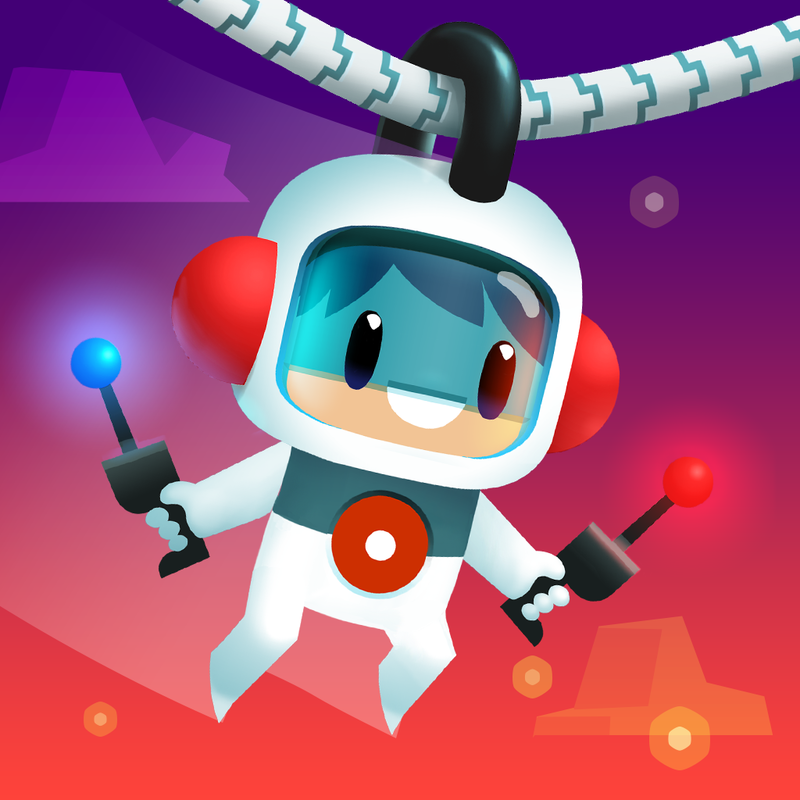 Sky Tourist ($0.99) by Alexander Lading is a physics-based puzzle game that will have you literally swinging by the ropes. If you’re looking for a fresh new take on physics-based games, then this is it. 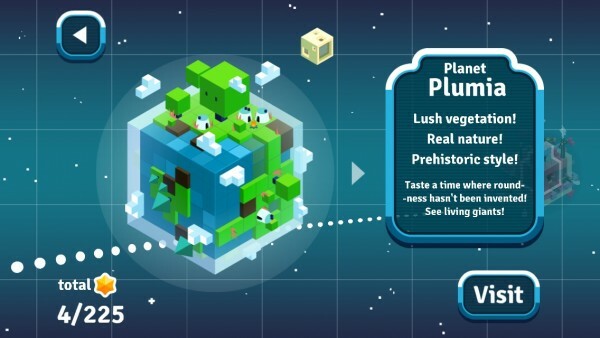 Physics-based puzzlers are great, but usually, they end up being the same thing quite often. While that means it’s a tried-and-true formula, sometimes we just want something that is fresh and interesting, different from the norm. 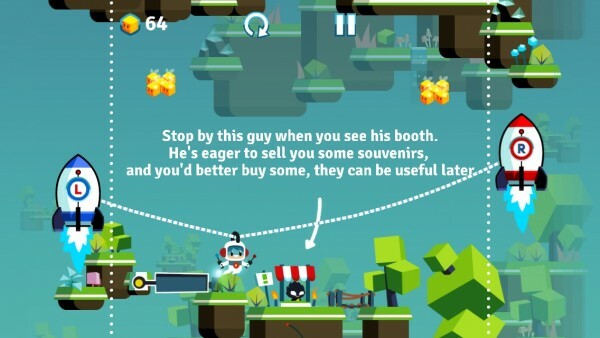 If you’re in the mood for something new, then Sky Tourist is just the game for you. First off, the biggest thing about this game that drew me in were the graphics. Seriously — they’re beautiful. 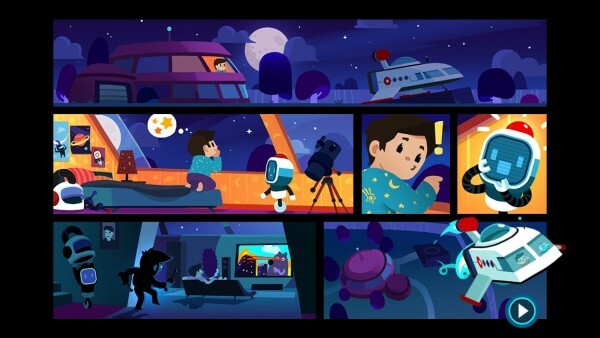 Sky Tourist features beautiful environments, characters, animations, and everything is incredibly detailed. The soundtrack is also quite delightful, and a joy to hear while you play. Combined, Sky Tourist is just a visual and audible treat. Of course, a game is not always just about the visuals and music, right? The gameplay has to be there as well. Fortunately, it is, so no worries there. You have Petey, a kid who wants to travel, but not in this world. So he invents his own homemade way of traveling through space with the use of two rockets connected by a string, which carries him through the stars, and through various alien worlds. On his journey, he will find worlds whose inhabitants welcome him to their lives, but others won’t be so welcoming. Your job is to help Petey navigate through these strange new worlds without, you know, dying. The controls are unique, and will take some time to get used to. Basically, there are two rockets on the side, which are connected by string, and Petey will be in between them both, like a pendant. You can make him move left or right by making one of the rockets lower than the other, so Petey slides in that direction. He will also move up or down if you move both of them vertically at the same time. 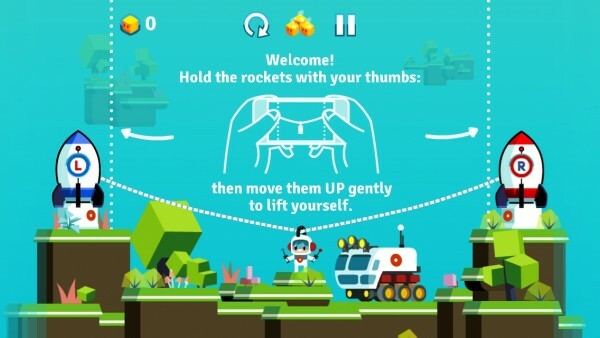 To stop, just lift your fingers off of the screen. Of course, with these types of controls, you may thing it’s pretty easy to steer Petey around. But while it may seem straightforward, it requires a bit of precision and timing to get right, because you will need to navigate through various obstacles, doors, and avoid hostile inhabitants. 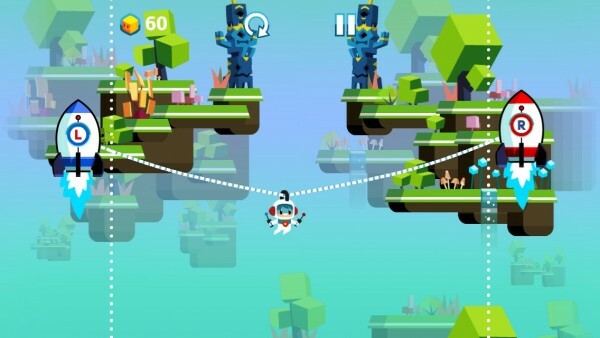 Your rope can also break if Petey gets stuck underneath or above terrain and you are trying to go in the opposite direction. The rope will turn red to give you a warning that it is about to break, so you can maneuver your way out of death, but don’t be hasty about it — after all, you’ll be hanging on by a thread! 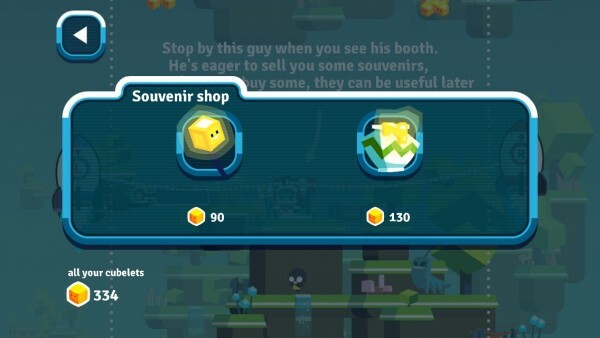 On your tour of each world, you will need to collect the “cubelets,” which serve as the game’s currency. 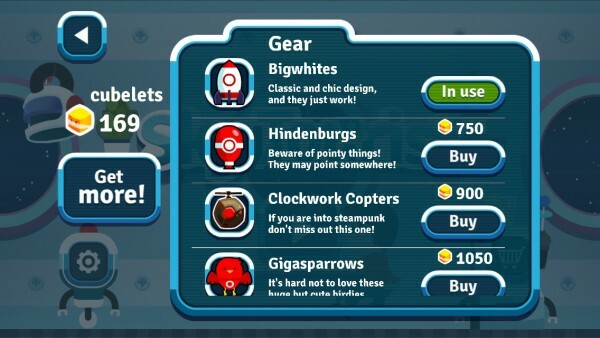 These can be spent at the hidden souvenir shop on each level for power-up items, or you can spend them in the game shop for various gear and costumes for Petey. 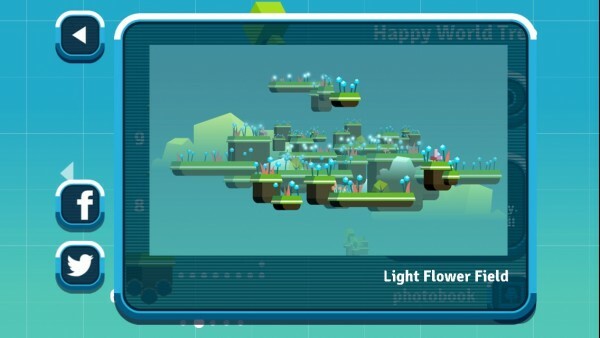 Sky Tourist features three worlds for Petey to explore, and each will have 25 levels to go through. 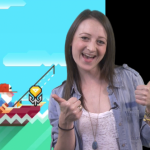 There is no time limit on any of the levels, so you can go at your own pace, which I love. 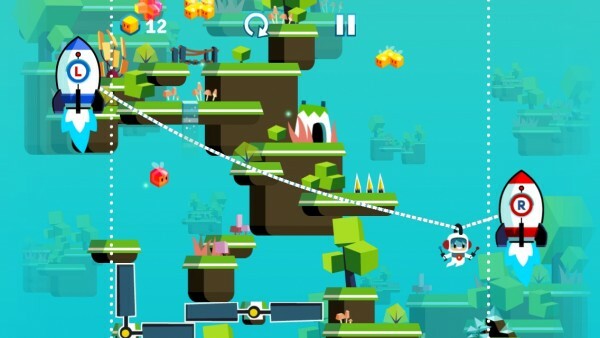 The end of each level is indicated by the totems at the top, which you must fly through. Sometimes they will need keys, which you will recognize instantly since they are colorful and glow. 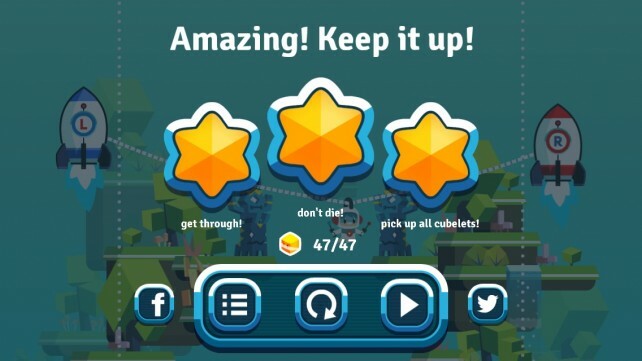 Players can earn a maximum of three stars on each level, which are acquired by getting through, not dying, and picking up all of the cubelets. 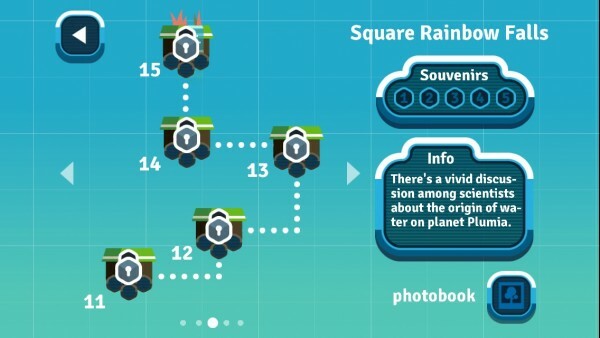 In order to go to the other two worlds, you will need a certain number of stars to unlock them, so it’s important that you get as many of them as you can. You also can’t move on to the next level without clearing the previous one, as it’s all done in an incredibly linear fashion. It is a journey through new worlds, after all. 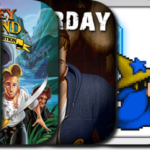 If you care for Game Center, there’s full integration for leaderboards and achievements. Now, you may be a bit confused about the leaderboards part, after all, I said that the game only has stars, and there are no points or time limits of any kind. However, I took a gander at my Game Center, and Sky Tourist will rank you globally on the amount of time you’ve traveled in the game. So basically — the more you play (and explore the worlds of course), the higher in the charts you are. 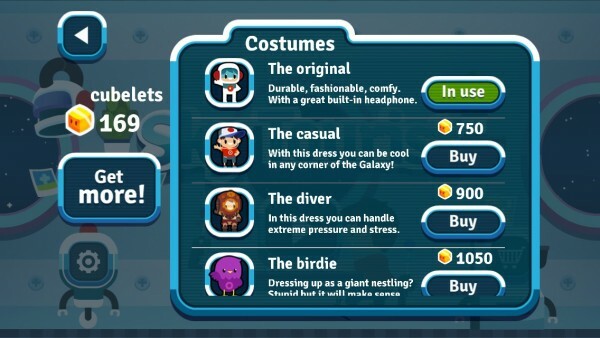 And with 27 achievements to obtain, there’s plenty of reason to keep replaying the game. I’ve become quite enchanted with the charm of Sky Tourist, and it’s definitely going to be occupying some of my time this weekend. It’s just a joyful little game that you want to keep on playing. 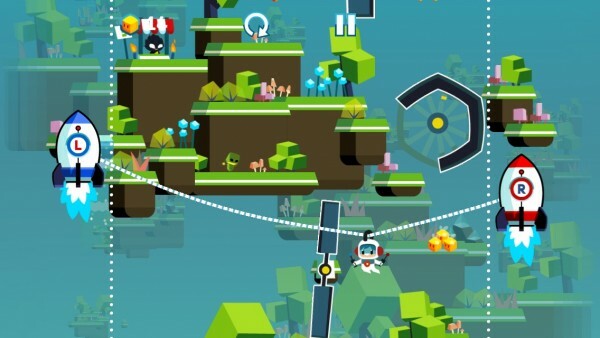 If you’re looking for something that’s beautiful, original, and challenging, then you definitely need Sky Tourist. It’s definitely the game to pick up this week. 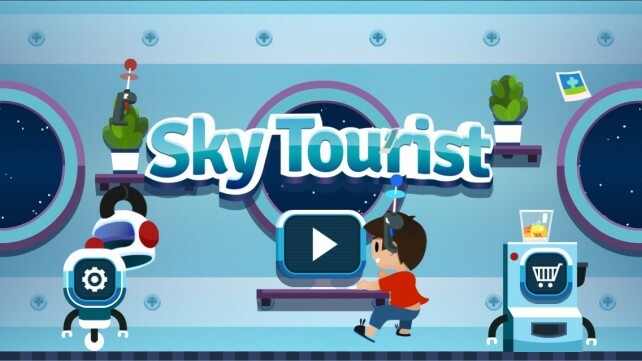 You can download Sky Tourist in the App Store as a universal app for $0.99.